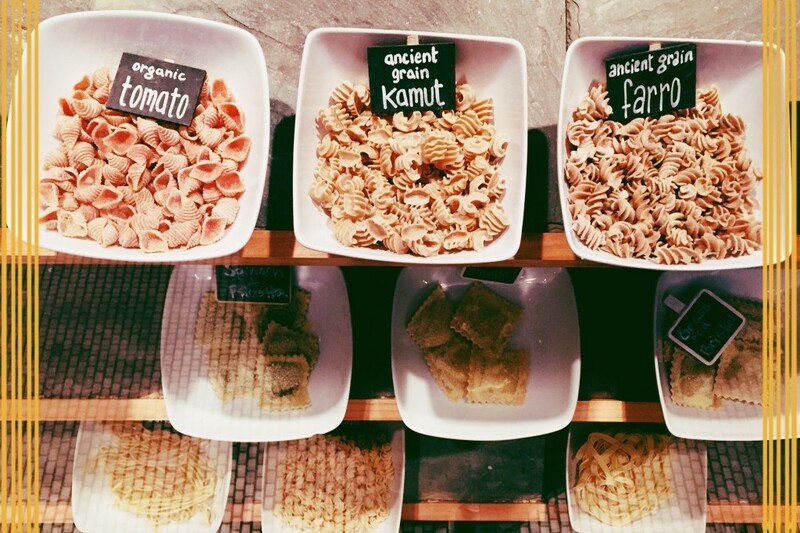 1 :: Design-your-own pasta bowls :: Last weekend, we discovered a lovely little spin on a fast-food spot – Pazzi Pasta on Smith Street in Brooklyn, where you pick your choice of fresh pasta, sauce and toppings. So fresh and so delicious – and so warming on a winter day. 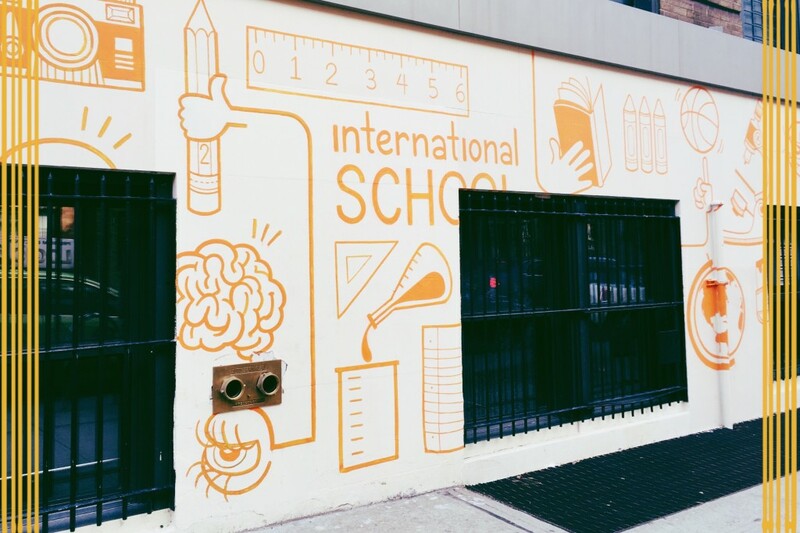 2 :: This funky, colorful wall outside a school on East 2nd Street in Manhattan. 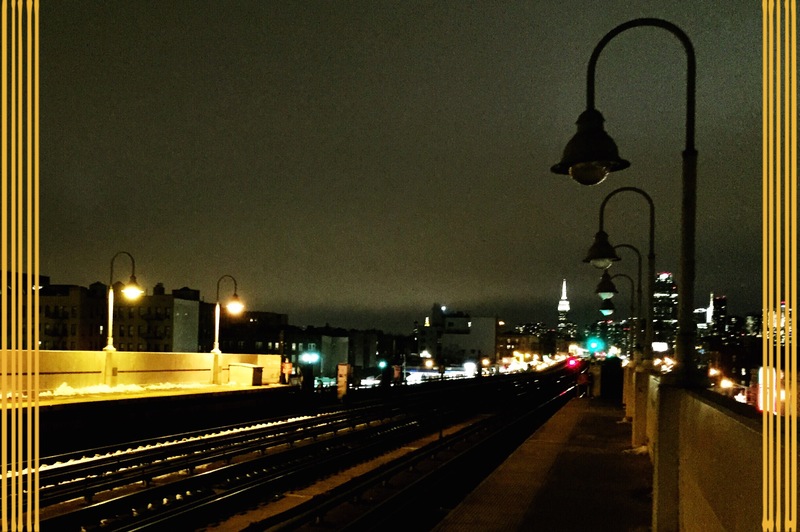 3 :: Unexpectedly amazing views from Queens during the trip for Burns Supper. 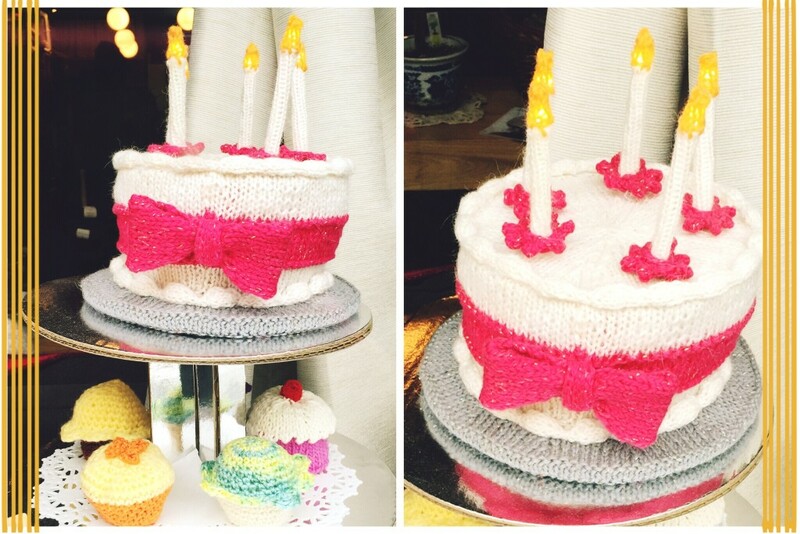 4 :: Knitted cakes :: Probably not as tasty as they look, but I still admired them all the same. Courtesy of La Casita Yarn Store. 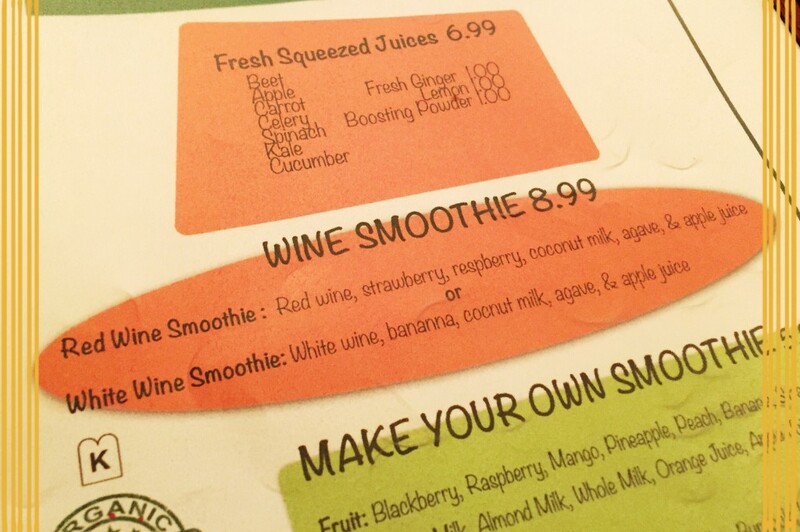 5 :: WINE smoothies :: Yes you read that right. 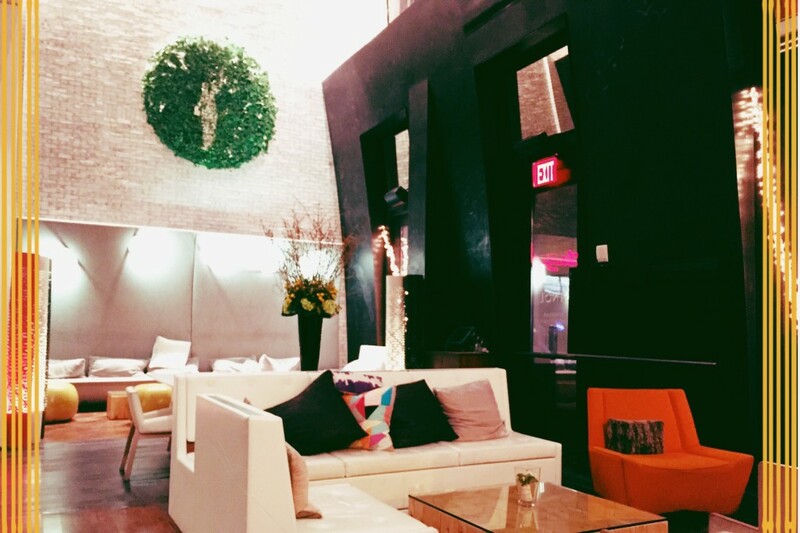 An amazing option from one of my favorite cafes in the city, Organic Grill. 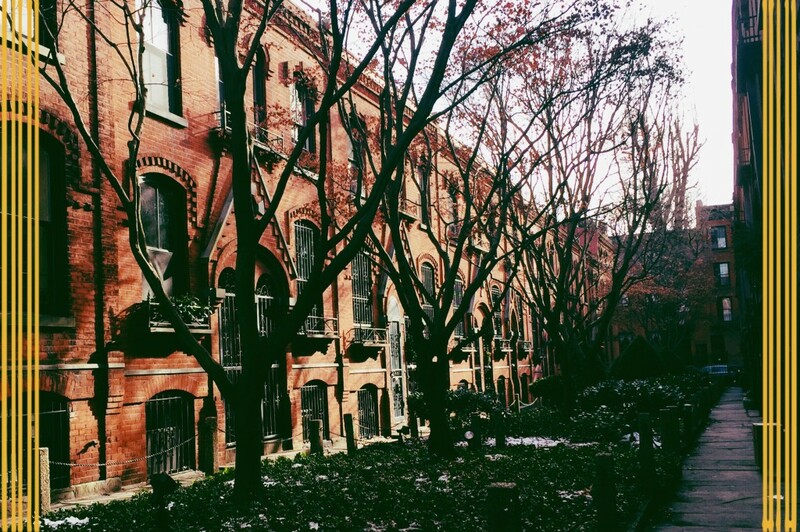 6 :: Discovering hidden nooks in my neighborhood that I’ve never noticed before. 7 :: Warm hotels in the snow :: Thank you, the Hyatt at Union Square (and my bosses), for protecting me from the dusting of snow we called a ‘storm’ by putting me up just a couple of blocks away (and for great coffee). 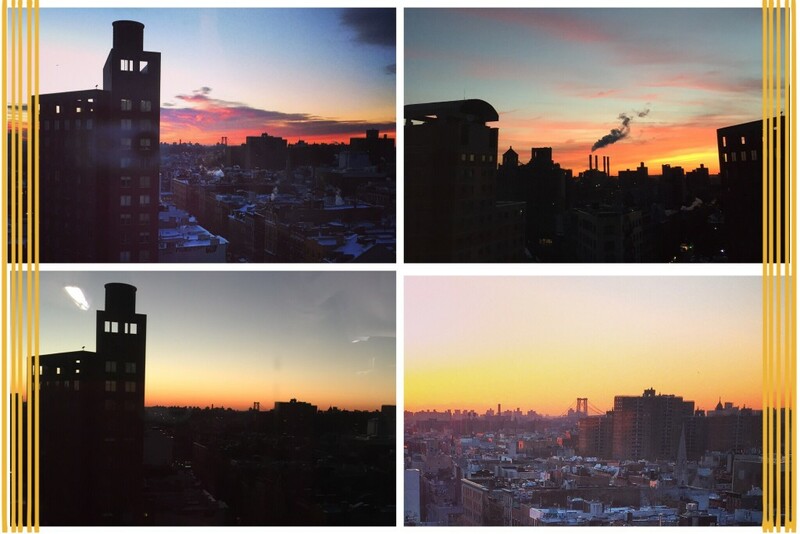 8 :: Even more beautiful sunrises from my office :: If you follow my Instagram, you know I pretty much post one of these every two days… and the crazy weather this week has made it easier than ever. It amazes me how different the sky is every single day. 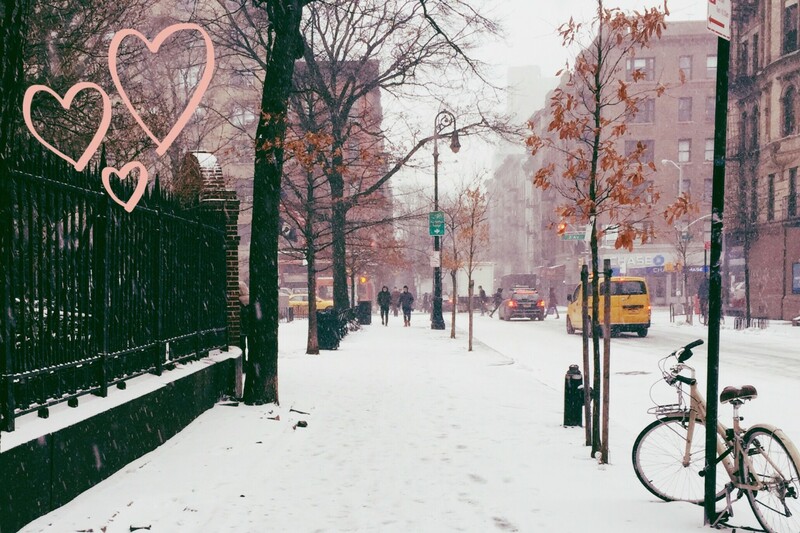 Have a lovely weekend, and stay warm! It was soo good. It honestly took me about 15 mins to decide what to have. I know, I’m part amazed at the thought, part horrified!